No. 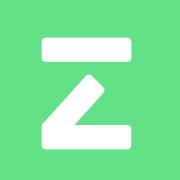 We currently don't take a deposit when you sign up with Zego. When you first sign up, we will add credit to your Zego account. This pays for your first few policies. If you don't get the job, or decide not to use your vehicle for food and courier delivery, any remaining credit will be refunded to you. There is a minimum of £15 credit for scooter drivers when you sign up. There is a minimum of £30 credit for car drivers when you sign up. There is a minumum of £10 credit for cyclists when you sign up.